The world's largest aircraft, developed by aerospace venture Stratolaunch, completed its first flight test on Saturday. Pacific Time, according to a release of Stratolaunch. 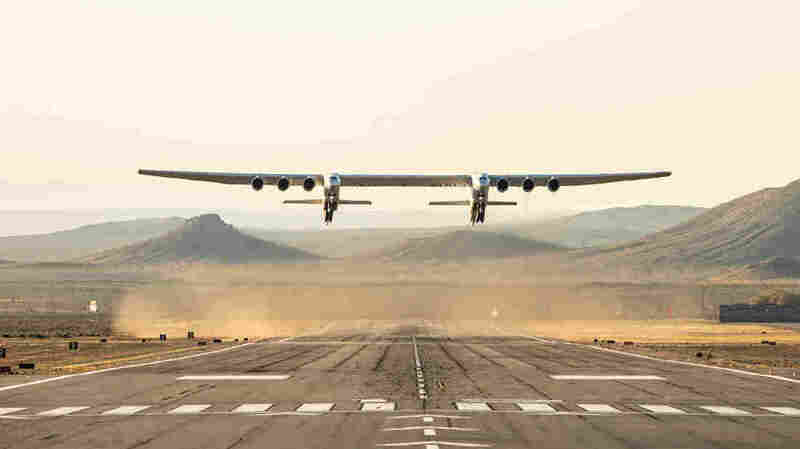 The plane, built by Stratolaunch Systems Corp, stayed aloft for more than two hours, hitting a top speed of 304km per hour, and reached an altitude of 5 182m. The test took place at Mojave Air and Space Port in Mojave, California and was a sigh of relief for the company which recently laid off more 50 employees due to financial challenges in the company. "Today's flight furthers our mission to provide a flexible alternative to ground launched systems, Floyd said". It's a novel idea which has already seen the company sign up its first customer in Northrop Grumman, which plans to use Stratolaunch to send its Pegasus XL rocket into space. Stratolaunch was founded by the late Microsoft co-founder Paul Allen in 2011 to develop the large carrier airplane as a flying launch pad for orbital-class rockets. "We all know Paul would have been proud to witness today's historic achievement", said Jody Allen, trustee of the Paul G. Allen Trust. It is powered by six Boeing 747 engines that give it a payload capacity of over half a million lbs (227,000 tons). "The aircraft is a remarkable engineering achievement and we congratulate everyone involved".